Why an ABC? A is for Accept, Achievable, Action, Ambition, Anger, Answer, Assertive, Assumptions. B is for Balance, Begin, Behaviour, Beliefs, Better, Body, Bone of contention, Boundaries. C is for Choice, Clarity, Coach, Coaching, Commitment, Compliment, Conditions, Confidence, Conversation, Critic. D is for Daily, Dare, Declaration, Delegate, Demand, Do it, Dream, Dump. E is for Easy, Elation, Emotion, Empathy, Encouragement, Endure, Entrepreneur, Excitement. F is for Favourite, Fear, Forever, Forgive, Friends, Fulfilment, Future. G is for Goal, Good enough, Gratitude, Greatness, Grounding, Growth, Guilt. H is for Habitual, Handle, Happiness, Head, Health, Heart, Help, Holistic, Hope. I is for Identity, Imagination, Impatience, Inkling, Integrate, Integrity, Internal Dialogue, Intuition. J is for Jealousy, Journey, Judgement, Judgemental, Juggle, Juxtaposition. K is for Kaleidoscope, Keeping fit, Kick-Start, Kinaesthetic, Kindle, Kith and Kin, Knowledge. L is for Language, Learn, Let go, Lightness, Limbic Listen, Loss, Love. M is for Magical, Magician, Mentor, Metaphor, Mind-map, Mood, Movement. N is for Needs Negative, Networking, New, New life, No. O is for Obstacles, Openness, Opportunities, Options, Original, Outcome. P is for Passion, Passionate, People, Persistence, Positive, Posture, Power, Purpose. Q is for Quality, Quandary, Quantity, Queen, Quest, Question, Quiet. R is for Realist, Reality, Recognise, Reflect, Relaxation, Request, Resistance, Results. S is for Sadness, Seasons, Self-care, Self-esteem, Simple, Success, Support, Synchronicity, System. T is for Talk, Tasks, Technology, Think, Time, To-do list, Tolerations, Trust the process. U is for Undermine, Understand, Understatement, Unobtrusive, Unshakeable, Usual, Unusual. V is for Values, Value yourself, Verbalise, Vision, Visualisation, Visualise, Vitality, Voyage. W is for Way forward, What, When, Why, Window of opportunity, Win-win, Wondering. X is for X, X-chromosome, X-factor, X-ray, X-generation, Xylophone. Y is for Yardstick, Year, Yearn, Yes, Yesterday, Yoga, Yourself. Z is for Zap, Zeal, Zenith, Zero-hour, Zigzag, Zoom, ZZZ. 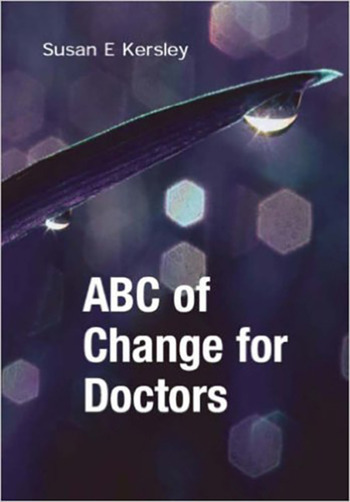 Why an ABC of Change for doctors?